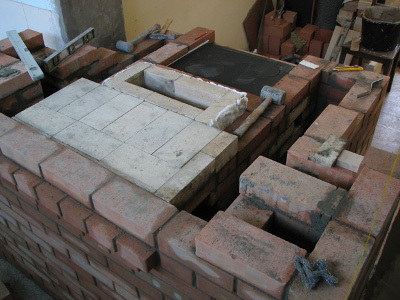 A little bit of history: Through the last couple of years, Norbert Senf corresponded with Ferenc Buina, a Hungarian engineer with keen interest in masonry heaters. 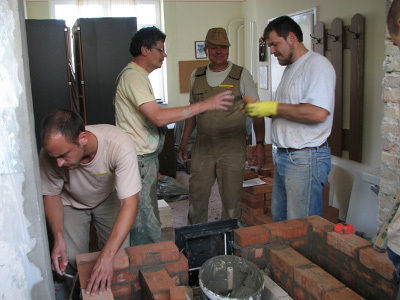 About a year ago, Ferenc met a Hungarian couple that has recently started building masonry heaters for living. 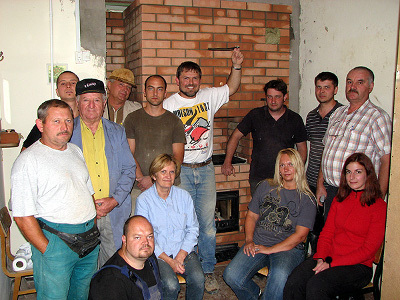 http://www.tomegkalyha.eoldal.hu/cikkek/english-version The couple, Zsolt Vaida and Andrea Szvetkovics, was also interested in organizing heater workshops. 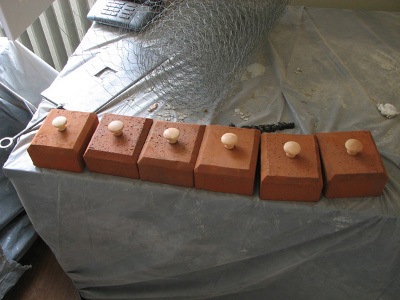 Last year, they organized a workshop on construction of a contraflow heater with Lars Helbro (Denmark) http://www.stenovne.dk/englishpage1.html . This year, they wanted to learn something different, and Ferenc recommended inviting Norbert Senf or someone from the MHA. Due to the fact that Norbert doesn’t fly for business anymore for environmental reasons, he recommended Tom Trout, Markus Flynn and myself as potential workshop presenters. Originally, organizers had a plan to have all of us there to build a couple of stoves or may be a large stove and a cook stove, but due to various reasons, where financial instability triggered by the world financial crisis was the major, they had to downgrade to one presenter only. 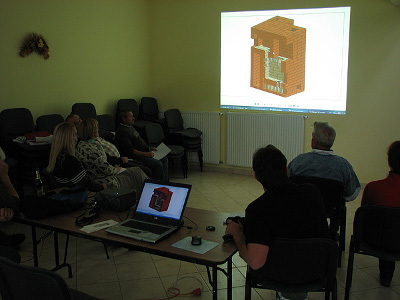 Since there was a great in interest in double-bell multifunctional heaters between people who already signed up, I was subsequently invited to lead the workshop on construction of one of double-bell multifunctional Russian “Teplushka” stoves of Igor Kuznetsov’s design. 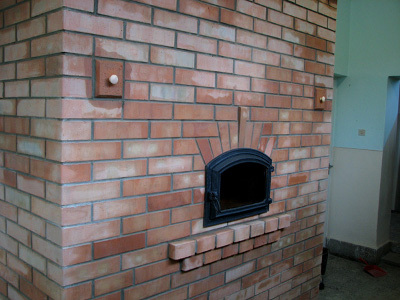 Same as the last year, this time we had to build a masonry heater for a local elementary school. 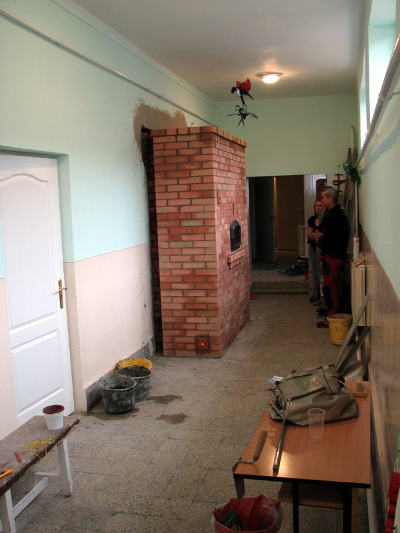 The workshop in fact had two meanings: one – to teach heater building, and another – to provide local school with an ecological heat source independent from unstable and expensive natural gas supply. 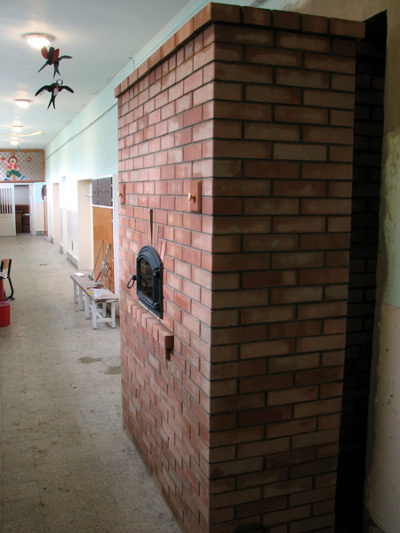 A heater built last year under leadership of Lars Helbro was already successfully heating two adjacent classrooms. His heater was built just in time to protect kids from consequences of the Russian/Ukrainian conflict over natural gas supply lines that shut natural gas supply to Eastern and Western Europe for several days (and weeks in some places) this winter. 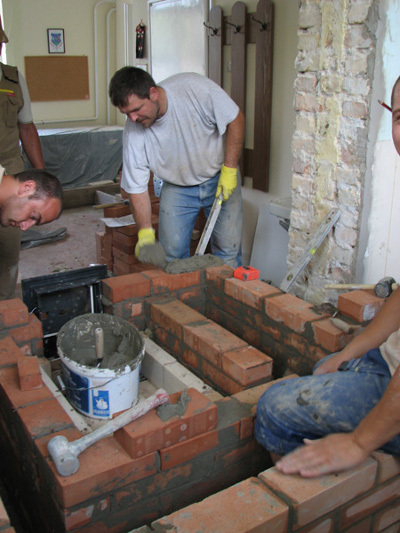 For our workshop, the goal was to provide heat for the hallway and the teacher’s room: area of about 1000 sq ft in total in non-insulated brick building with 10ft ceiling height. 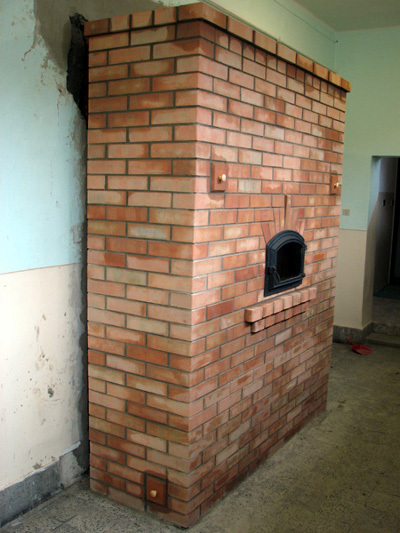 The idea was to build a multifunctional heater with firebox door and cook top located in the teacher’s room and main heater body with black bake oven located in the hall way. 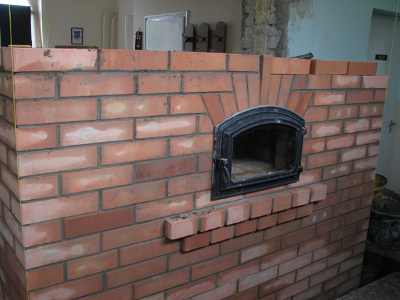 We decided to build the heater the way it is done in Russia: in a single-wall construction using clay brick and clay mortar with firebrick lining in the firebox only. Igor Kuznetsov came up with the conceptual idea for the heater, I have created complete working drawings. 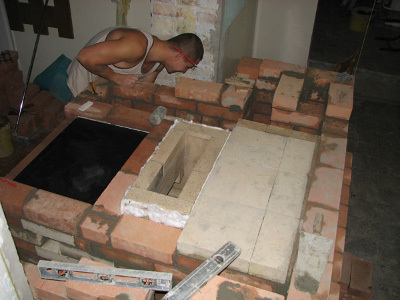 The air supply system for firebox was done according to Igor’s latest design. The workshop was organized with financial help of a local charity foundation. Hospitality was great. 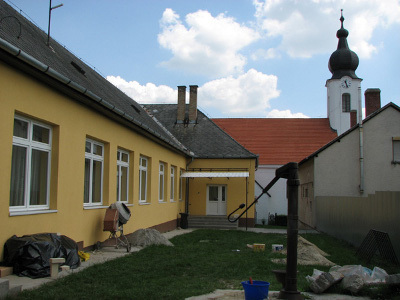 All participants were given rooms in different houses at the village; I was given the village major’s cottage… Hungarians take their food very seriously, and each day we were treated to delicacies of the local cuisine. Majority of food was prepared using locally grown produce and meat that came from the village’s farmsteads. Very tasty, but a vegetarian would have a hard time there…We were also invited to local private wine cellars for tours and vine tasting (almost each family has own vineyard and a cellar). All together, there were 10 participants, all from Hungary. Nobody except Ferenc Buina and organizers had any heater building experience. Two of the participants were masons; others were people of different non-related professions, including a doctor, a scientist and a firefighter. Most people never used a trowel. We started from a short lection where I talked about principles of the double-bell heater system, and described a heater we had to build. I spoke English. Zholt and Ferenc translated to Hungarian. After lection, we started construction. 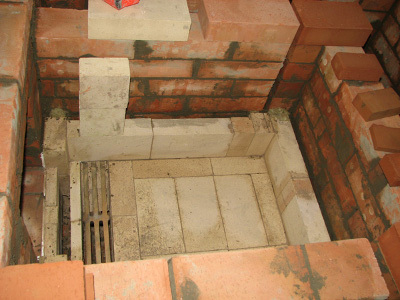 I explained general and heater masonry techniques and answered questions on the go. Everyone paid great attention to what was said, everyone tried new techniques and worked hard. 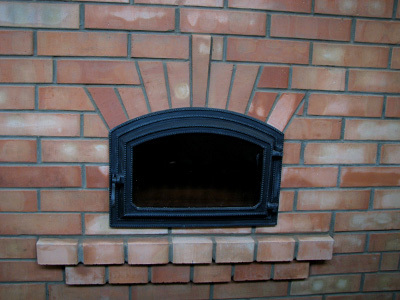 I had to pay attention on quality of work since most people had no previous experience working with bricks. However, everyone followed my directions thoroughly and the heater turned out to be looking pretty good. Per participants request, I have shown them how to build a “fancy” arch of Markus Flynn’s style over the bake oven. 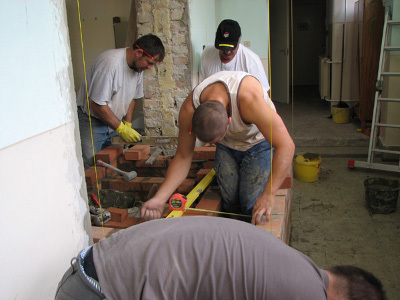 We have built the complete heater consisting of 1300 red bricks and 120 firebricks in 5 days, which is not bad for a completely inexperienced crew. The heater was test fired. The rest of time was used for questions/answers session, to discuss Igor’s designs and work, and to tour local towns and attractions. Atmosphere at the seminar was very friendly with good discussions through the day at work and long lively conversations over local beer in the village pub. A couple of participants spoke OK English and we managed to communicate well. 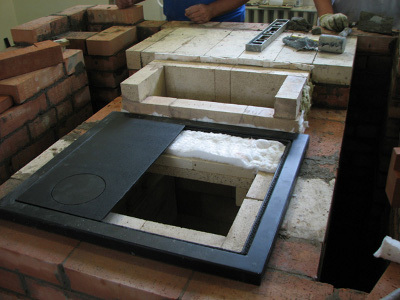 Everyone is very proud of our mutual work and the result – a beautiful masonry stove that will help to keep local kids warm in school. Villagers were impressed with the heater’s nice look and size. 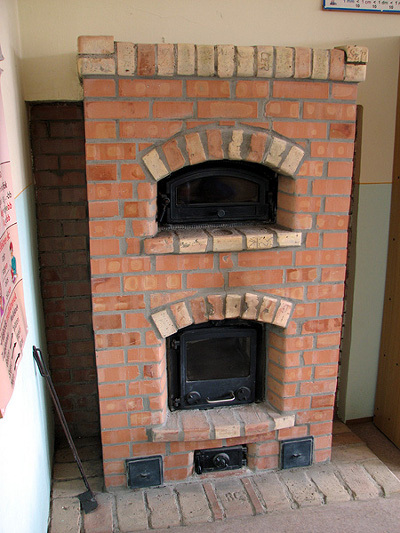 Hungarian heater traditions evolved around one-room tile stoves and therefore most people have never seen such a large stove. At the end, we have exchanged little souvenirs. One of the participants even made a special quilt with a masonry heater picture and spaces for participants’ signatures in the shape of little heaters. The quilt will be presented at the next annual meeting at the Wild Acres. I would like to thank Norbert Senf for contacts and referral; Igor Kuznetsov for his work and his knowledge he generously shares with the whole world; workshop organizers, Andrea and Zsolt for great organization and hospitality; workshop participants for the great work; Ferenc Buina for friendship and for taking great care about me at his place and in Budapest after the workshop. Thanks! Yellow building to the left is the school where we build the stove. Ferenc Buina takes a brick to make a cut. He made excellent cuts including all the cuts for the fancy arch over bake oven door. 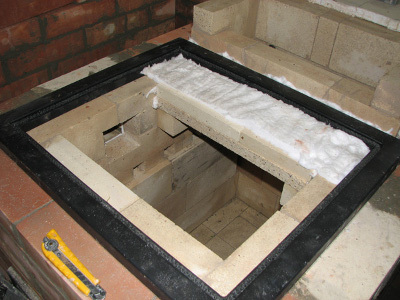 Clean-out doors made from the same red bricks with wooden knobs. Finished heater from the front. 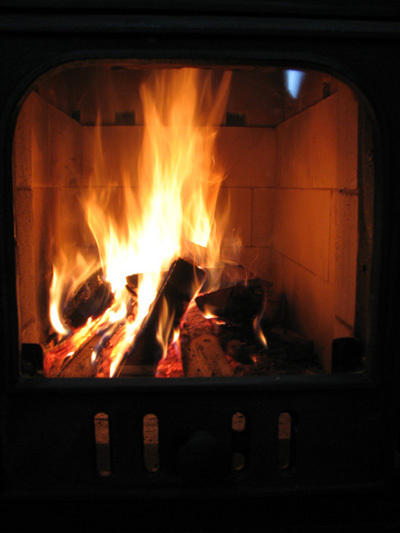 The first fire. Finished heater from the back. The whole group in front of the completed heater. I stayed in this cottage. 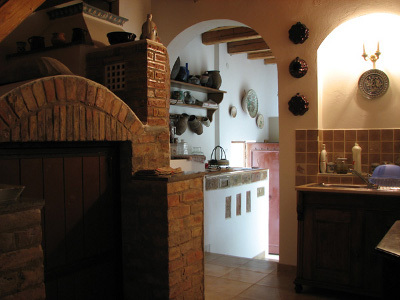 You see entrance to the vine cellar and traditional Hungarian stove and fireplace on the background. 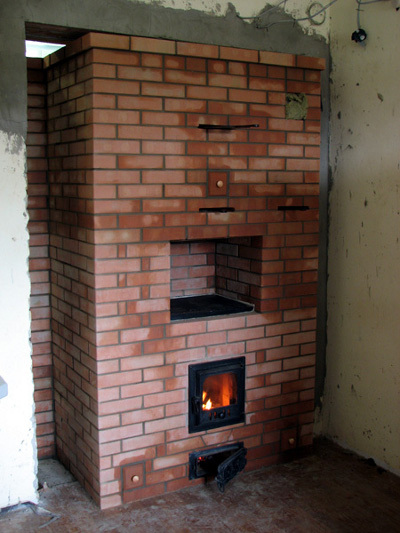 The stove built last year with Lars Helbro. 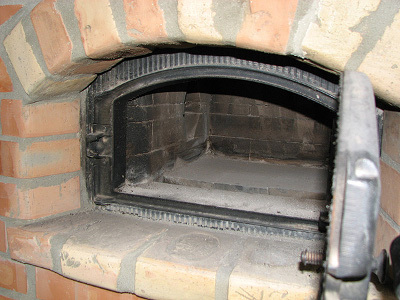 Lars Helbro's "carburetor" oven design.